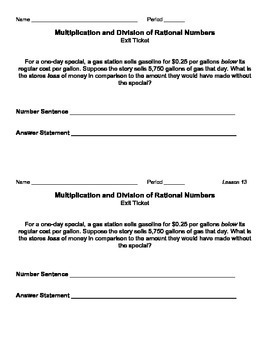 Extend students' knowledge of integer operations to rational number operations with this lesson on multiplying and dividing rational numbers! 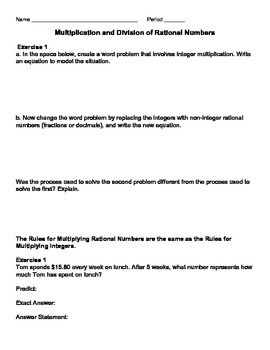 Fully aligned to the common core standards, this product includes a review of integer operations, exploratory exercises, class notes, in-class practice problems, exit ticket, and a homework sheet which includes real-world problem solving! 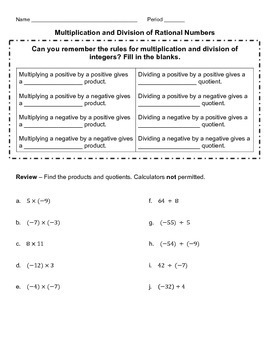 Multiply and Divide Rational Numbers Complete Lesson by Victoria Miller is licensed under a Creative Commons Attribution 4.0 International License.